GreenDog Foundation discovered this little girl just a couple weeks ago...she was rescued from the shelter in full rear paralysis. She did receive a wheelchair with the previous rescuer; however, GreenDog wanted to make sure Hope received every chance available to walk again. 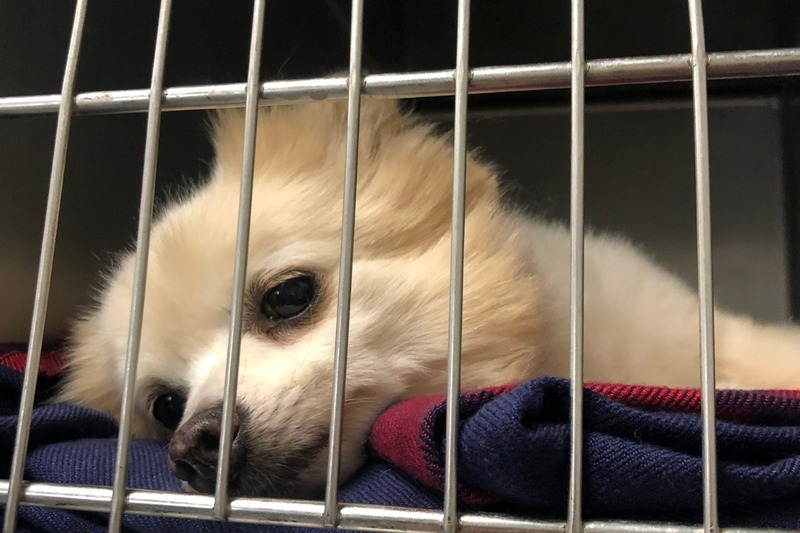 Upon Hope's arrival, she went straight to the Southern California Veterinary Specialty Hospital located in Irvine to have the renowned Dr. Berry assess her condition. X-rays revealed a pellet near her spine. The position did not suggest the cause of the paralysis; however, pellets can and do migrate, so this is something we will never know for certain. Because of the pellet, an MRI was out of the question, so a Myelogram was performed to see if there was any compression(s) in the spine, and there certainly is one. Unfortunately, because Hope sat for such a long time, surgery may or may not be an option at this point, so a regime of steroids was issued to see if there is any chance of improvement. We are now on week 2 of her steroid program and her prognosis looks promising. She will be reassessed in early April. We are now seeking donations to help with Hope's lengthy rehabilitation. More information about Green Dog Foundation: Our mission is to reduce the number of euthanized healthy and adoptable animals. We focus on the rehabilitation and rehoming of the elder and/or injured animals that are too often overlooked at our shelters.